YOURS CHLOE: Last Minuet Presents! So it's 8 days until christmas. I've been a bit rubbish this year and i haven't brought a thing! To make things worse, my school doesn't finish until thursday, and then i have a meeting on friday, so i'm not going to make it shopping until the weekend. And anyone who has ever experienced last-minuet christmas shopping (especially in a city with a population as high as peterborough) will be able to tell you that it really isn't an option. So i've been making my gifts this year! It's an great little idea, that the person recieving your gift will love. It shows just how much you care. Here are just two of my idea's for quick and easy gifts that your loved onces will love! 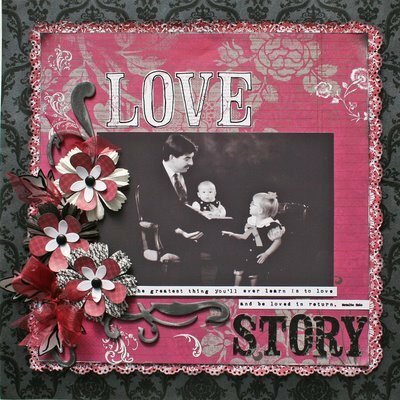 I love scrapbooks! 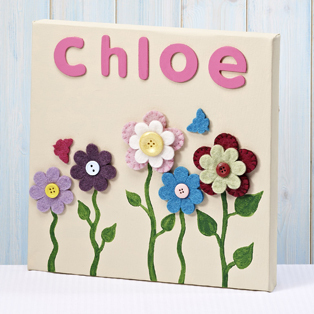 The best thing is you don't have to be a crafting genius to make a nice one! Sometimes the best are simple. Just buy a blank scrapbook (Hobbycraft has some really nice ones), print off some nice photos and get to work. Decorate your pages with lots of cute stick-ons! Glitter, buttons, stickers... whatever you want! The Craft Shop does some really cute ones. The name says it all. This works well as a kids present - but you could adapt it for adults too. Just buy a canvas, from an art or craft shop, buy some stuff to stick on it and get going! You could paint the canvas if you choose (use acrylic paint, it's the best one) but it's up to you! If you need any more ideas just ask!